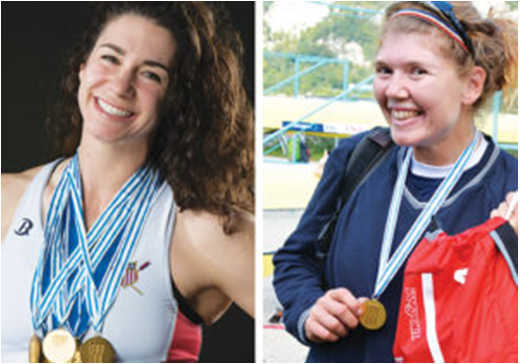 The Head of the Hooch is thrilled to host 2016 Olympic Gold Medalists Amanda Polk and Lauren Schmetterling at this year’s races, Nov. 5-6, 2016. They were both on TeamUSA Women’s 8 and won a Gold Medal during the Olympic Games in Rio de Janeiro. Polk and Schmetterling will spend Friday visiting local schools and organizations. On Saturday, they will be at the regatta site on the downtown riverfront. Media are invited to attend any session. Please schedule interviews through Doug BeVille.